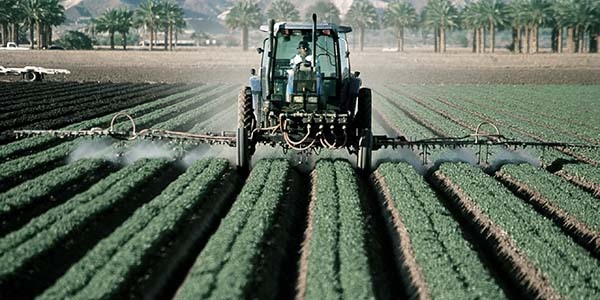 New research shows pesticides and other environmental pollutants advance the progression of the neurodegenerative disease amyotrophic lateral sclerosis (ALS). A serious neurodegenerative disorder, amyotrophic lateral sclerosis (ALS) causes muscle weakness and atrophy throughout the body. Also known as Lou Gehrig’s disease and motor neurone disease, the condition is invariably fatal. The average survival from onset to death is between 2 to 3 years. Most patients die within 5 years. Renowned physicist Stephen Hawking, who died in 2018, was arguably the world’s most famous ALS patient. Diagnosed at the age of 22 and given only a few years to live, Hawking went on to reach the age of 76. Consequently, there was much speculation in the media as to why it was that he managed to survive more than 50 years with the disease. What is not commonly known is that Hawking’s father Frank was a doctor. In the latter half of the 1960s, disillusioned and impatient with the advice Stephen was receiving from the medical profession, he decided to take over his son’s treatment. He carried out intensive research into the disease and prescribed a course of steroids and vitamins, which Stephen continued to take until his father’s death in 1986. Years later, in an article published in the British Medical Journal (BMJ) in 2002, Hawking indicated that he suspected the cause of his disease may have been a poor absorption of vitamins. The article stated that he was therefore supplementing his diet with daily vitamin and mineral tablets, zinc, cod liver oil capsules, folic acid, vitamin B complex, vitamin B-12, vitamin C and vitamin E. He was also following a diet free of gluten and vegetable oil, and avoiding convenience foods. While quite rightly celebrating Hawking as the visionary scientist that he was, it is truly a shame that the mainstream media has essentially chosen to ignore this important aspect of his extraordinary survival. To learn more about the natural treatment of ALS, read our article from 2014 about the so-called ‘Ice Bucket Challenge’. To access scientific studies on the natural treatment of amyotrophic lateral sclerosis, visit our Independent Library of Nutrition and Natural Health website.